Antoine Navarro is a financial inclusion consultant. He works with CGAP on financial inclusion in the Arab region and with MIX on digital financial services and alternative delivery channels. 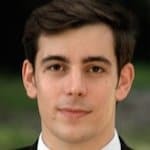 He graduated from Sciences Po Paris and previously worked with Planet Rating, performing financial and social ratings of more than 30 microfinance institutions.